The Jingle Bells Foundation is excited to present its 70th Jingle Bells Telethon in 2018. The telethon is merely a show, but it’s the work behind the show and the ultimate cause that gives us great joy. 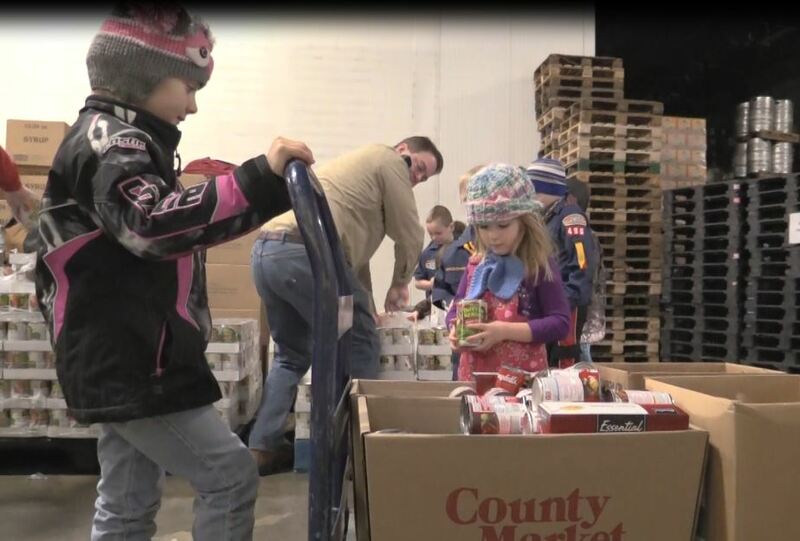 Since the Alexandria Jaycees began the program back in 1949, more than $2.5 million dollars has been raised to provide food and toys for families during the holidays. A gentleman named Ken Bechtel brought the idea to Alexandria in the late 40’s and it stuck. He told his fellow owners of KXRA radio that this “telethon” could really help out people in need during a tough time of the year. The president of the Alexandria Jaycees at the time, Julian Newhouse, made the commitment for his organization to help the radio station run it and as they say, the rest is history. That first year the Jaycees raised close to $500, and now the program generates close to $100,000 each year. That translates to 10’s of thousands of people being helped over the telethon’s 70 years. This is not just the work of one organization but rather a community-wide effort. While still its own organization the Alexandria Jaycees are now part of the Jingle Bells Foundation. They are helped significantly both monetarily and through donations from businesses and their employees, countless other groups and organizations, and hundreds of other people, just like you. It is a very simple concept. Invite people to share their talent on a December night, ask for monetary donations to help pay for all the food and toys, then give it to the people who need it! Although the whole idea is simple…actually going from point A to point Z involves a lot of planning and a lot of effort. The Jingle Bells Foundation is the backbone behind all of the planning. Over the years, they have gone from a telethon on radio that served Douglas County to a live telethon on television that encompasses communities in a 45-mile radius around the Alexandria Lakes Area. 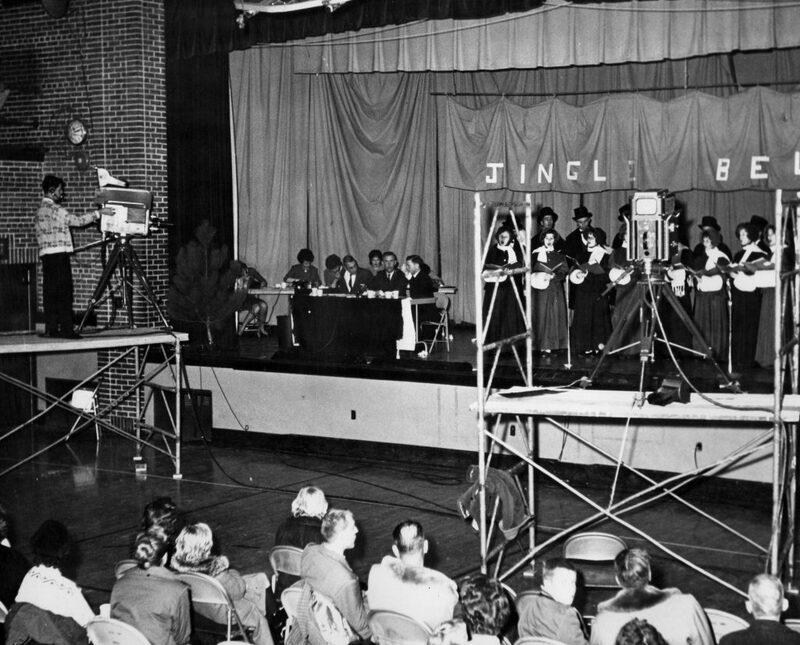 The Broadcast- In the first ten years of the Jingle Bells Telethon, the radio waves provided entertainment and encouragement to thousands. KXRA radio was very generous with their time and resources, and the Alexandria Jaycees were as well. 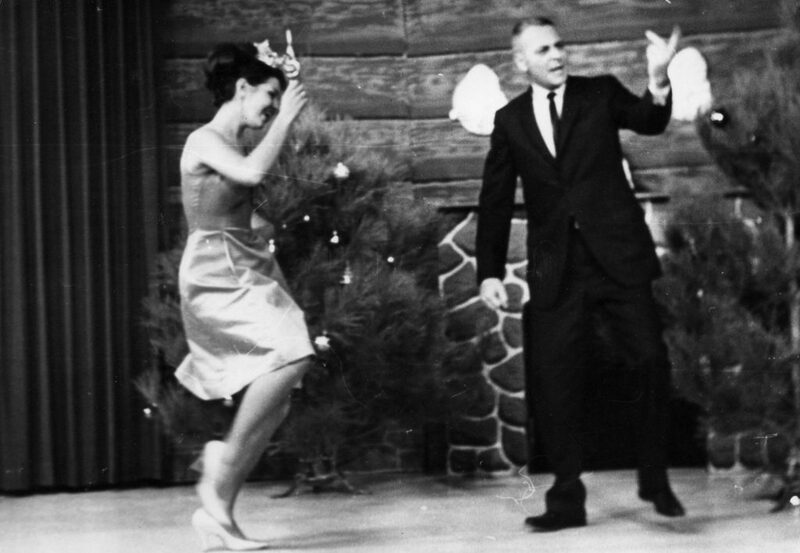 The telethon moved to television in 1958 with the creation of a local television station (KCMT). 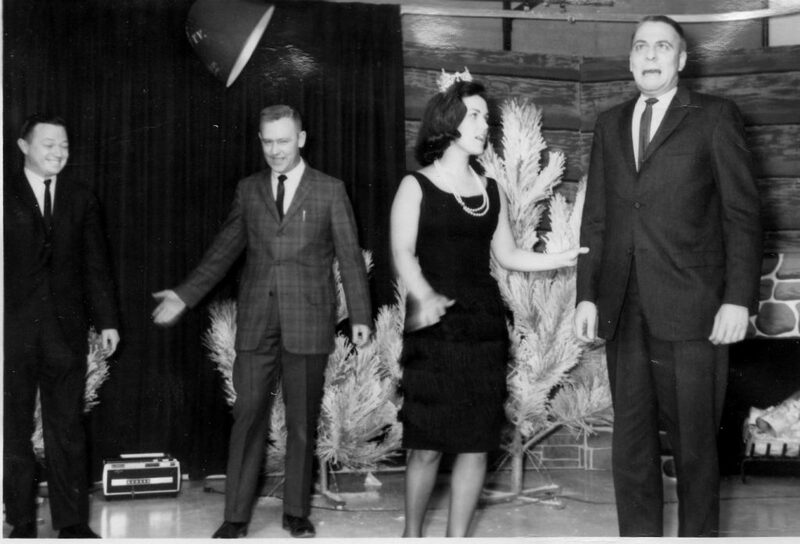 In order to accommodate the live audiences that longed for the entertainment, the Jaycees and KCMT/KXRA held the telethon in the State and Andria theatres. 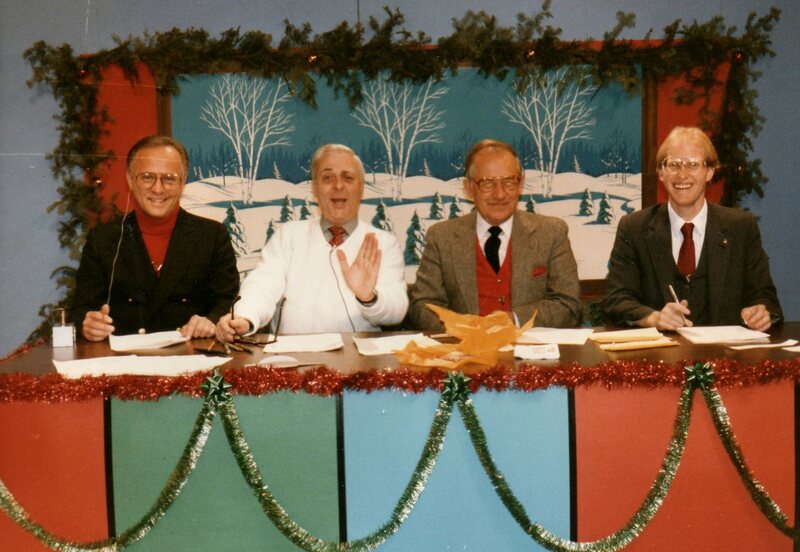 The telethon eventually made its way back into the KCMT studio. Dozens of hosts led the charge and hundreds upon hundreds of talented people came into your living rooms for one night a year. 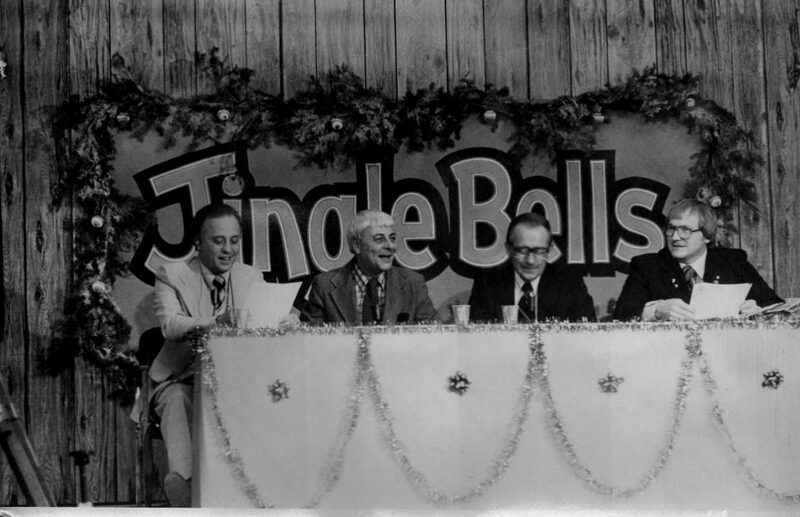 For the 50th anniversary of the Jingle Bells Telethon, it was brought back into a setting where not only the people at home could watch, but also those who wanted to see it “live” and in person at the AAAA Theater. Shortly after that, KCCO-TV ceased local operations and the telethon found a new home in KSAX-TV. Celebrating our 70th anniversary, we moved our location once again, this time to the Lake Geneva Christian Center. This facility provides us with ample room for audiences to watch the live production and allows for more space to accompany 30+ acts, a dozen phone bank groups, volunteers and all that’s needed to run a telethon of this magnitude. In June of 2012 the Jaycees learned that KSAX-TV was no longer able to provide local programming. For several years Jason Hirsch and his company Excellent Multimedia picked up the ball and produced the show. It was supplied to various cable and broadcast channels throughout the lakes area, as well as streamed live on the foundation’s website. Steve Kneprath of KPS Media is now in charge of the production and distribution of its signal. It continues to be broadcast on a number of different sources, including the live stream on the Jingle Bells Foundation website. The Foundation is forever grateful for all of the companies and cooperatives that make this delivery of a live television signal possible. Despite the many changes one thing that has remained constant through it all, is the need families have each Christmas to provide enough food for the table and gifts under the tree. The Food & Toy Baskets- In the beginning, donations were gathered and food packages were delivered on the night of the telethon. 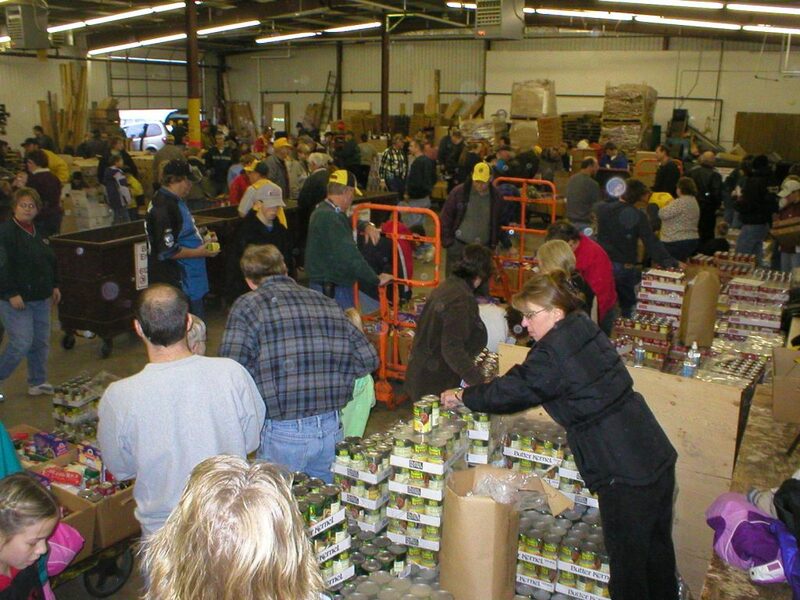 Because of the huge volume of donations and the overwhelming need in the community, that has become impossible. Now it takes weeks to collect the money and two full days to coordinate and implement the delivery of the food and toy baskets. In addition to the Jingle Bells Foundation members (and their families), hundreds of people donate their time and talents. It would take a book to describe all that has to happen to make the Jingle Bells program work; however, each year it is not only a success, it’s a reminder that the spirit of giving is a very powerful unifying tool.